Egypt's Ahly have received on Thursday the security permission to play the African Super Cup at Borg El-Arab stadium in Alexandria with fans attendance. Egyptian security refused to authorise the attendance of fans since Port Said football disaster that left more than 70 killed last February. 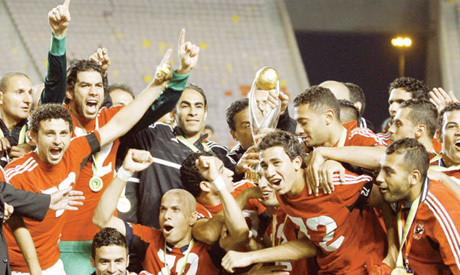 African champions Ahly will host the the Confederation Cup heroes Leopards from Congo on 23 February. Ahly are chasing their fifth African Super Cup title and their first since 2009 when they defeated Tunisian side Club Sfaxien 2-1 in Cairo.